@Harryg gave me aring a few weeks back to see if I was free for hunt on a station down Kurow way. I couldn't turn him down so Friday night I turned up and @Munsey's place and we made our way to Oamaru for the night. Up early Sat morning, met up with @jakewire and we made our way to the station. It was blowing a gale, which we were assured was most unusual, when we got there. Harry put Munsey and me onto a gully he assured us would hold deer. Once we got onto the ridge where we could see down into the gully we started glassing, but nothing to see. We moved further up the ridge and carried on glassing. Somm Munsey could see a deer, then 5, then 13 then finally 20+ hinds and yearlings were seen. Because of the wind and open nature of the country we had to head back down the ridge, drop down into the stream and then make our way up the face towards the deer. We reckoned on a 250 -300 yd shot. 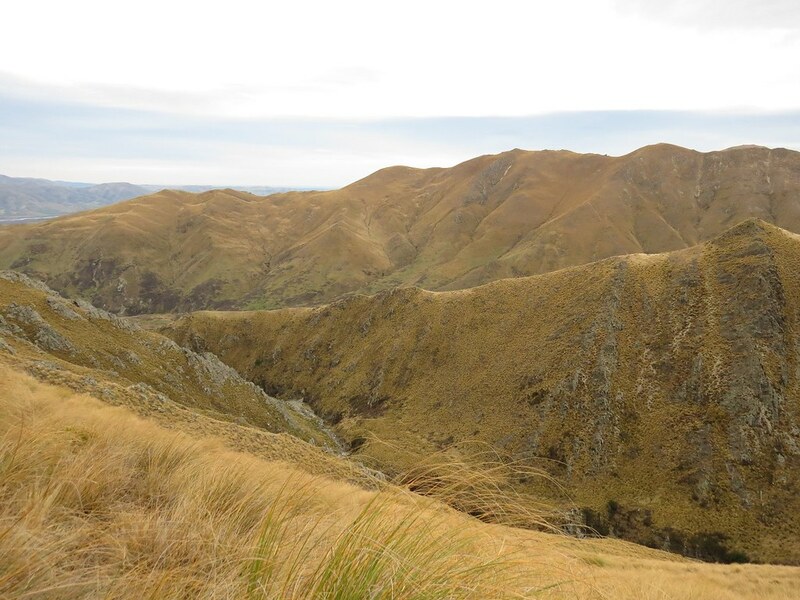 We made it to the start of the last gully before the deer when I noticed two yearlings higher up the gully. Munsey and I made our way up to some rocks and set up for the shot. 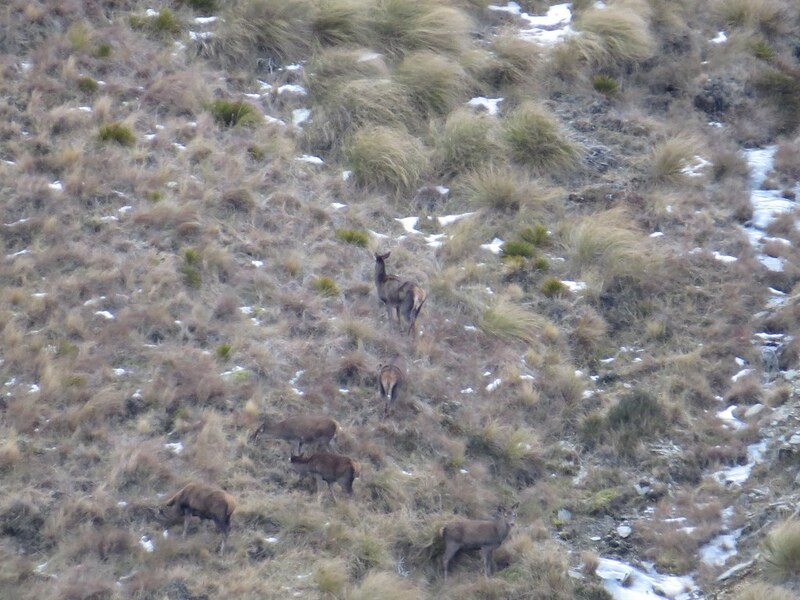 Only one was visible in the tussock, so I lined up on it and dropped it with one shot. The other yearling ran out onto the face and Munsey shot that one. 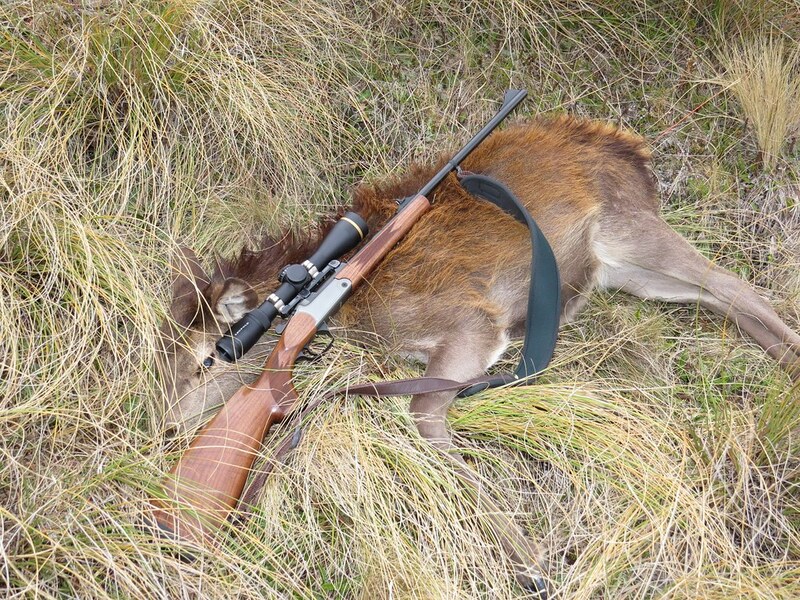 It took a little bit to find then in the tussock, then the butchering and carry out commenced. Making it back to the truck just after lunch. Philipo, jakewire, Wildman and 22 others like this. Excellent hunt, great seeing those sort of numbers. The meat should taste pretty good too. Glad you finally got some blood on that new gun . Conditions were a challenge. so well done guys enjoy the venison. Tahr, veitnamcam and Munsey like this. A great day,good to catch up with some forum members and thanks to @Harryg for the organization. She's big country in there. veitnamcam, Munsey, stug and 1 others like this. Tahr, veitnamcam, Munsey and 1 others like this. Cheers guys for the company and especially Harry for the invite . Was by far the biggest mob of deer ive ever seen . Great to see differant country and to tick off sleeping in a mai mai (should be named the Haka Hilton ) was a first for me . jakewire, Tahr, veitnamcam and 3 others like this. Yep, tis the first. Didn't help that I missed the first two animals I shot at with it. veitnamcam, oraki and dannyb like this. Awesome, beautiful rifle and nice looking country. Can't ask for more. Good on ya blooding that beaut rifle. Big win for the guiding operation!